A beautiful smile says a lot more about you than just telling your dentist how well you care for your smile (though that’s important too). In fact, numerous polls have revealed that people make some striking assumptions about others based on the appearance of their smiles including believing them to be smarter, better educated, and healthier. In addition to the personal impact of a healthy smile, numerous employment surveys have indicated those with better looking smiles are more likely to receive promotions or be hired. What does your smile say about you? 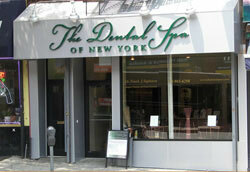 If you don’t like the image your teeth project, The Dental Spa of New York can help. In order to ensure your achieve and maintain your healthiest, most beautiful smile, our Brooklyn, NY dentist and team would like to partner with you to create an ongoing oral health care routine both in our office and at your home that will ensure you have a beautiful, flawless smile. 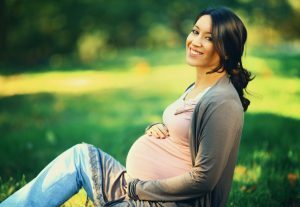 Contact us to find out more or to schedule an appointment. Every patient has a unique smile, and they should personalize their in-office and at-home dental care routines to meet their individual needs, but there are some oral hygiene basics that should be completed daily by every patient. You should brush teeth for two minutes at a time at least two times each day and floss at least once each day. Dr. Sapienza and his skilled team are ready to help you create an effective oral hygiene plan. This plan should include regular checkups and professional teeth cleanings. That gives our team the opportunity to examine your current state of oral health, answer any questions you may have, and provide recommendations for ongoing oral care. In addition to thorough at-home dental care, checkups with our team every six months are an essential part of maintaining your healthiest and most beautiful smile.